Since 1993, the John F. Kennedy School has co-sponsored a much-loved event at the Berliner Dom in or around the Advent Season. 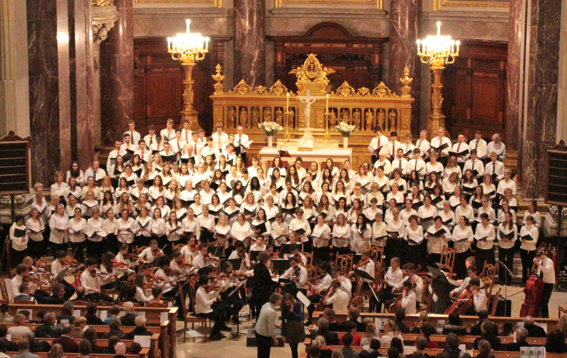 Together with the American Church in Berlin, the students of the choirs and the orchestra prepare to lead the congregation in German and American Christmas carols and are also responsible for their own presentation pieces. Tickets are free but must be presented to ensure admittance at the Dom. High School secretaries have tickets typically about two weeks before the event. Watch the Parent Newsletter and other school-related publications for the date each year.